EDGE Boost Express 3.0 SSDs are TAA compliant, built with premium SandForce controllers, and backed by a three-year warranty. 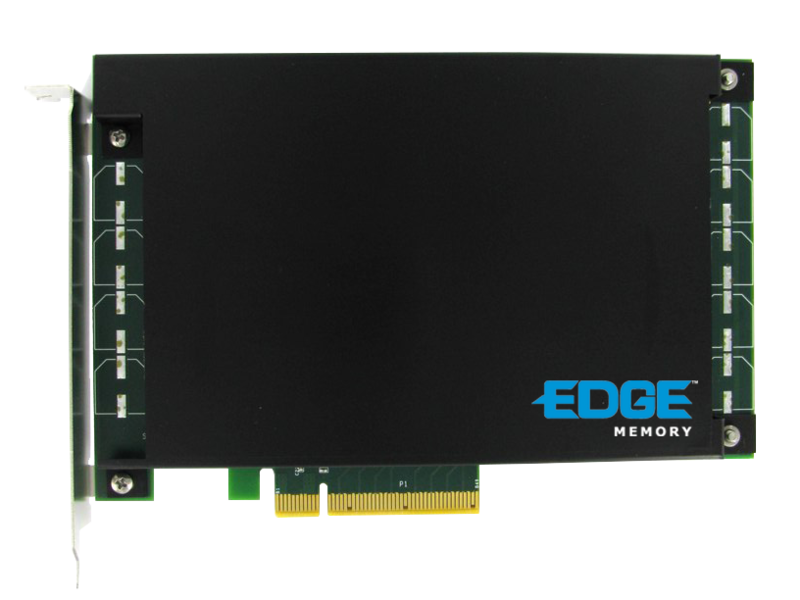 The EDGE™ Boost Express PCIe x8 Solid State Drive (SSD) is an elite performance solution for enterprise and power users. 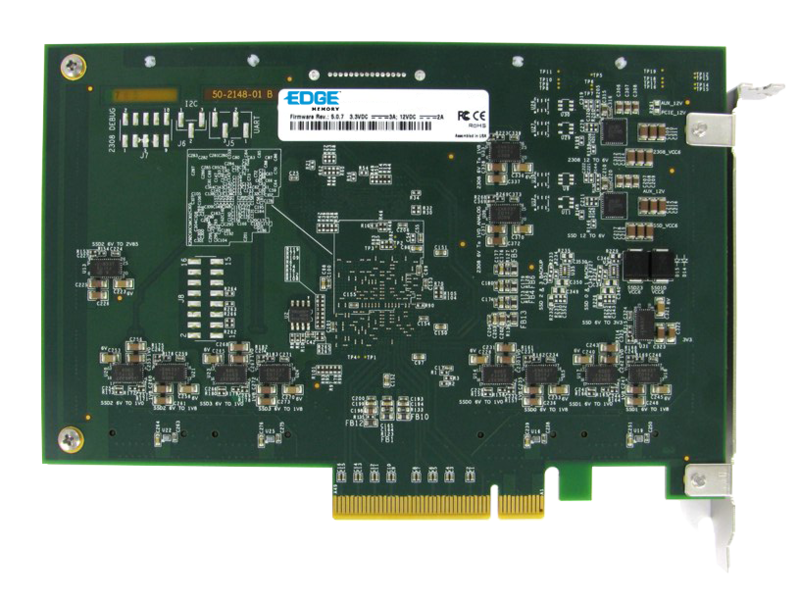 Utilizing an exceptionally fast PCI Express (PCIe) 3.0 interface, the Boost Express is capable of extreme read, write, and IOPS numbers. Fully bootable, Boost Express SSDs are PC, Mac, and Linux compatible and work in PCIe slots x8 or higher. Powered by four high-performance SandForce based SSD modules, the Boost Express can deliver IOPS ratings of over 100,000* and excellent incompressible write speeds. With transfer rates of up to 2150 MB/s,* this SSD provides substantial improvements to boot times, data backups/restores, and application loading over traditional SATA storage drives. 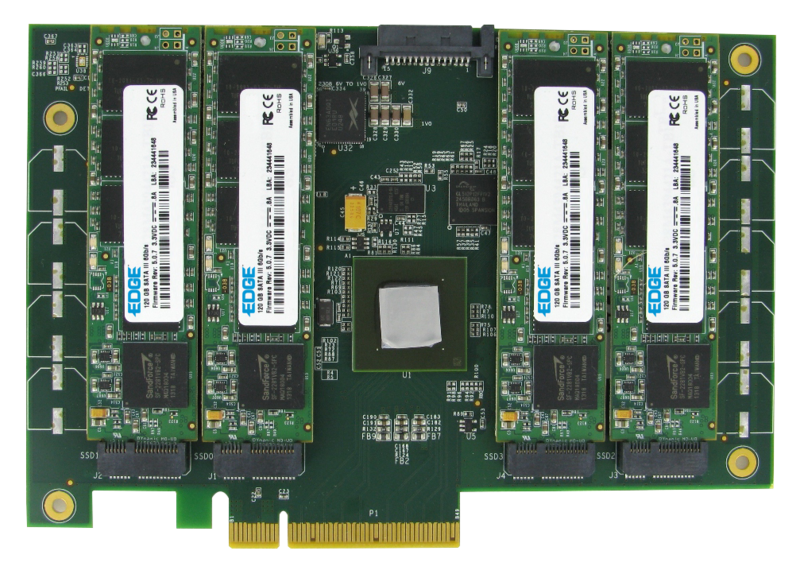 The feature-rich SandForce controllers onboard the SSD comes standard with tools such as Garbage Collection, Wear Leveling, and ECC to promote stability and reliability. Durawrite, a SandForce-exclusive function, further enhances data efficiency and increases the lifespan of the SSD. With large available capacities and mind-blowing performance, the Boost Express PCIe x8 SSD is the perfect SSD for enthusiasts. Extreme Performance - Transfer speeds of up to 2150MB/s and a max IOPS of over 100,000 provide substantial improvements to boot times, data backups and restoring, and application loading over traditional SATA storage drives. Quality - Manufactured with tier-one components. Three-year warranty.